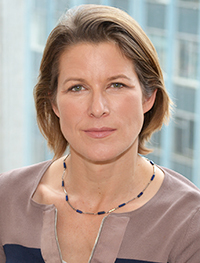 We are delighted to welcome Stephanie Flanders to deliver the 2017 SPERI annual lecture. Her talk is entitled ”For the many not the few’: do we know how to deliver inclusive growth?’. The event will take place at 18.00 on Tuesday 26 September 2017 in Firth Hall, University of Sheffield. Stephanie was the former BBC Economics Editor from 2008 to 2013, where her analysis and on-air commentary were widely respected and broadcast around the world. In this role she also hosted her own economics discussion show, ‘Stephanomics’, named after her influential blog. Prior to joining the BBC in 2002, she worked as a reporter at the New York Times and a speechwriter and senior advisor to US Treasury Secretaries Robert Rubin and Lawrence Summers in the second Clinton Administration, when she was closely involved in the management of the 1997-8 emerging market financial crises. She has also been a Financial Times leader-writer and columnist, and an economist at the Institute for Fiscal Studies and the London Business School. She was a scholar at Balliol College, University of Oxford, where she obtained a first class degree, and attended Harvard University as a Kennedy Scholar at the Kennedy School of Government. In 2013 she became Chief Market Strategist for the UK and Europe for J.P. Morgan Asset Management where she delivered insight into the economy and financial markets to thousands of professional investors across the UK, Europe and globally. She was also the chair of the independent RSA Inclusive Growth Commission launched in 2016 which investigated how local economies can drive growth, productivity and prosperity through greater economic inclusivity. From October 2017 Stephanie will return to journalism as she will leave J.P. Morgan to lead a new economics desk at Bloomberg in New York. Her talk will be followed by a Q&A session.